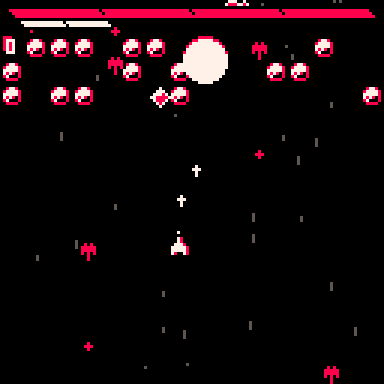 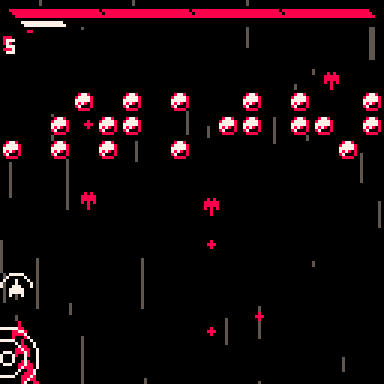 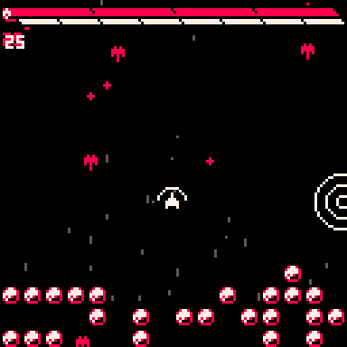 This is a Downwell-inspired shooter made in PICO-8 for the Game Maker's Toolkit Jam. This is the post-jam version of the game, where mechanics are slightly altered from the original. Here is the original jam version. Please don't use Internet explorer or Edge! The twist to this space shooter is that you reflect shots using a mirror shield, and that you have limited ammo so you can't shoot as you like. 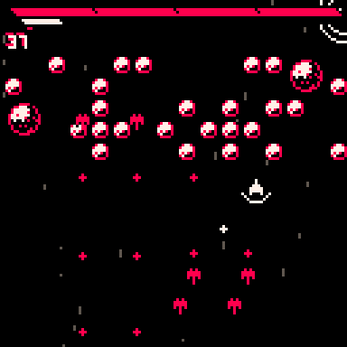 You recharge your ammo by getting hit by a reflecting bullets, and your health regenerates slowly over time when shields are down. 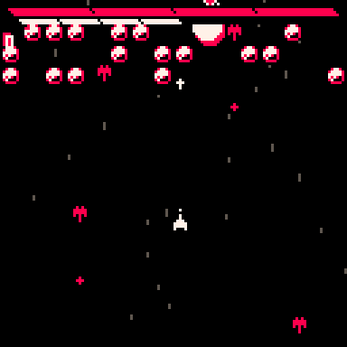 Enemies drop credits which can be used to purchase upgrades by travelling through the Gravity Well.